Achieving a goal is a fairly exhilarating feeling, if you intend to flirt with the idea of giving up, you could well be throwing away something very beautiful…. Today, we have a story of an individual who has never learnt to say no or give up. As far as I know him, he has been pushing himself harder every time to achieve something more and new. He has been constantly setting the bar high for himself and keeps himself self-motivated to be able to do all the extreme things that he attempts. 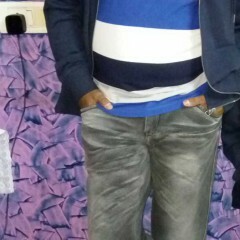 We are talking of barefoot runner and GOQii player Pinaak Pande. 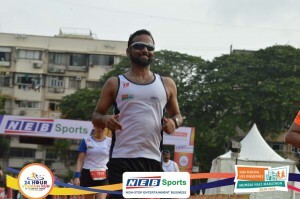 An Investment Banker by profession, his true inner calling is running. 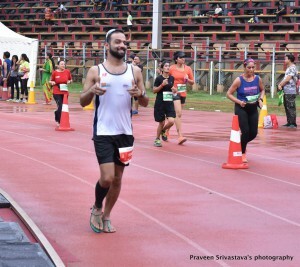 Living in Pune but working in the US time zone has not stopped him from running daily. But, there is a history to how it all started for him as well. Prior to 2014, Pinaak was just another corporate guy who had excuses galore for not being fit. 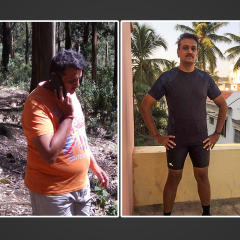 He weighed 89 kgs and his erratic work timings kept him away from healthy living and healthy eating habits. Then one day in 2014, he decided to join the Fitness class conducted by Reebok Running Squad. He attended the fitness for 2-3 sessions and these sessions would be conducted on weekends. Thereafter they gave each one a training plan which they had to follow. People were being trained to run 5km, 10 km and so on. Since then and now there has been no looking back for Pinaak. 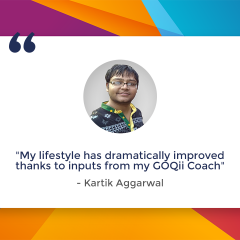 An active GOQii player since 2015, this June he attempted the 12-hour stadium run and here is how he trained for it? Pinaak had made up his mind to take up this challenge in the month of January. After having done several 10 km, 21 km and 42 km run, he thought, he should attempt something crazy this year and looked at the running calendar and got to see this ultra and registered for it. He said to himself, “Now that you have registered, you have no choice but to train and train hard”. Given that he works in night shifts where typically, his day ends at about 4.30AM in the morning. By this time most of his energy is already drained out at work but, he already had one moto behind on his mind, ‘never give up’. He constantly kept saying to himself, “Pinnaak, you have registered for a crazy ultrarace so prepare, no giving up”. His week’s mileage from January started increasing. 2 weeks intense training, 1-week low-intensity training. The high-intensity training weeks went up to 96kms for a weekly mileage and the low-intensity training weeks average was about 50kms as the weekly mileage. 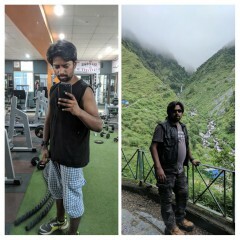 “Believe me, I clocked over 800+kms to train for this since January, 5 days of running that included strength training and swimming (at times). Strength training is so important for the ultras,” Pinaak says. He adds, “The mental challenge was, going around the 400mtrs track for 12 damn hours. I wondered how. I ran all my runs solo, except for 5 long runs. Out of these 5 long runs, I got to pace 5 different groups (Good brownie Karma points you see) and help achieve their targets too. That kept me happy and going”. Running solo is a challenge in itself and solo of 45+ kms will tell you what you are made of. At times Pinnak says he has gotten home post work drained at 6 AM in the morning but he never said a no to the run because he loves his runs. Pinaakk backed up his runs with quick swims to give him a quick recovery and he says, it played a major role on his recoveries. Pinaak had absolutely no recovery days in the plan but at times on Friday’s he forcefully put his body to rest. “On the race day— I had jitters on the morning of the race. I must say, the food from Herbivore (Thank you, Bela, for the food) just before the race day, gave me that extra carbs to run those 12 long hours. I will rate the food here as superduper excellent. I finished the first 6 hours of running and I had clocked about 40 odd kms. Trust me, the weather was just so different from what I trained in. Humid as hell and it kept pouring at times. I told myself, I have 6 more hours and I have to survive this. I was focused and determined to complete this no matter what. We had the best food on the course and were taken care of like babies by the organizers. Finally, at the end of 12 hours, I clocked a 74.8kms (187 laps of the damn 400 mts track). Goqii has been the best support system too for this run”. On his diet, while training Pinaak’s plate had clean stuff every single day except for few weekends. His diet included- Fruits and Sattu mixed in water (natural protein) being the breakfast so in good quantity. Very less rice for lunch, 3 chapatis and some dal or vegetable. Pre-dinner included-Protein (pumpkin seeds, sunflower seeds, watermelon seeds, chicken at times) and then a dinner with 3 chapati and some vegetables. On a lighter note- Pinaak adds: “After the race, I binged on some junk food for the next two or three days. These were like small sized pizzas by myself, 1 garlic bread. 4 bhaturas and chole for breakfast and pani puris. Pinaak however after 3 days of binge eating is back to clean eating since Thursday as he prepares for the next biggie. Pinaak believes in balancing discipline, good nutrition and karma as a way to a fulfilling life.